Rep. Mike Weinstein, R - Jacksonville, says he is in favor of a bill (SB 142/HB201) that would provide automakers more leverage when they are sued over product defects. Currently Florida is one of a handful of states where a defective part can leave automakers liable regardless of the role that driver error played in an accident. The bill would allow additional evidence, including driver error, to be entered when automakers are sued over product defects. "Bottom line is the bill just gives more information to juries," he said. Weinstein met with William Large, president of the Florida Justice Reform League, Wednesday to discuss the bill, which was filed in the House by Rep. Marlene O'Toole, The Villages. He sits on a subcommittee that will hear the legislation being pushed by Ford Motor Company. "He just wanted to make sure I was comfortable with the bill, and he encouraged me to vote for it," Wesinstein said of his meeting with Large. "I am fully supportive of it, just like I was last year." 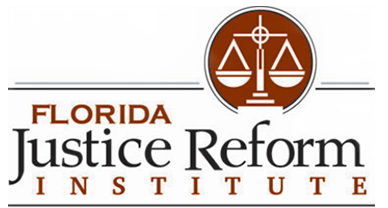 The Florida Justice Reform League was created in 2005 by the Florida Chamber of Commerce to "fight wasteful civil litigation through legislation, promote fair and equitable legal practices and provide information about the state of civil justice in Florida," according to its Web site. Opponents of the idea say that the bill takes the incentive away from automakers to strive to build safe cars. In an editorial on similar legislation filed last session, the St. Petersburg Times editorial board opined that the bill would "allow carmakers to shift the blame for their unsafe cars back on to negligent drivers." The Senate version of the bill, sponsored by Sen. Garrett Richter, R-Naples, earlier this month passed 5-1 out of the Senate Judiciary Committee.